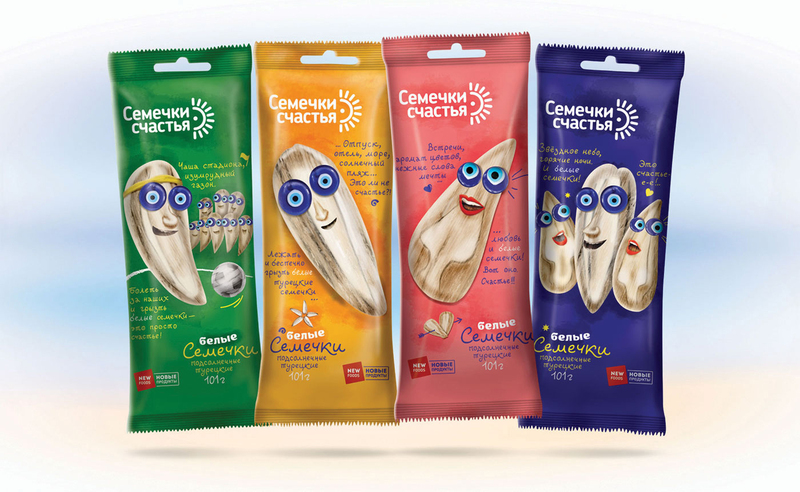 New Foods Inc., an undisputed pioneer on Russia’s snack market, launches its new product. 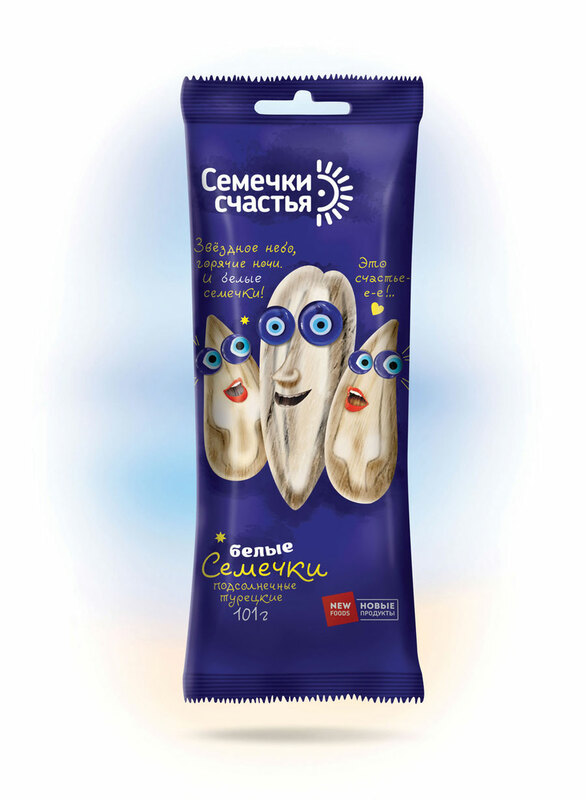 Seeds of Happiness (Rus. 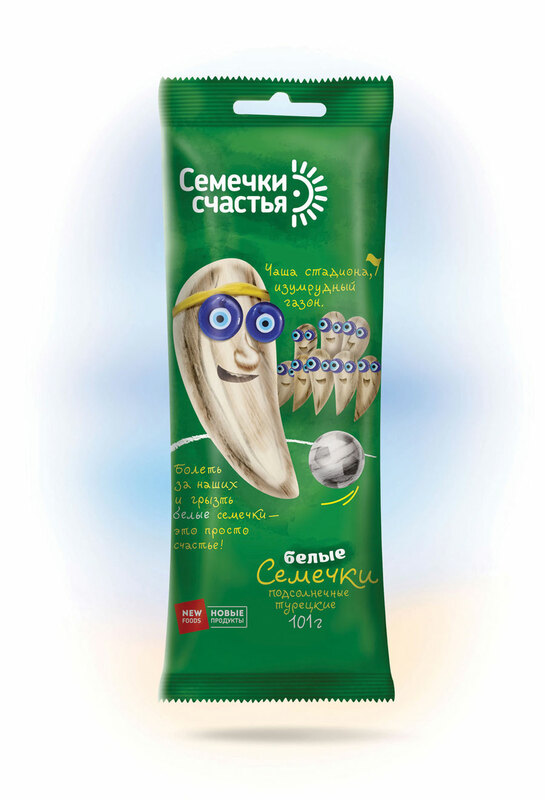 : «Семечки счастья») — extra large white sunflower seeds of Turkish origin — definitely have all the chance to conquer the shelves and to win customer’s affection. A grotesque creative concept is built on anthropomorphic portraits of Seeds which are accompanied by their monologues — their visions of happiness (and much positive vibe). So, what is happiness actually? Winning of a favorite soccer team, nostalgic memories on summer vacation, or romantic feelings, or ecstatic summer night rave? In all of that some seeds of happiness could be found. 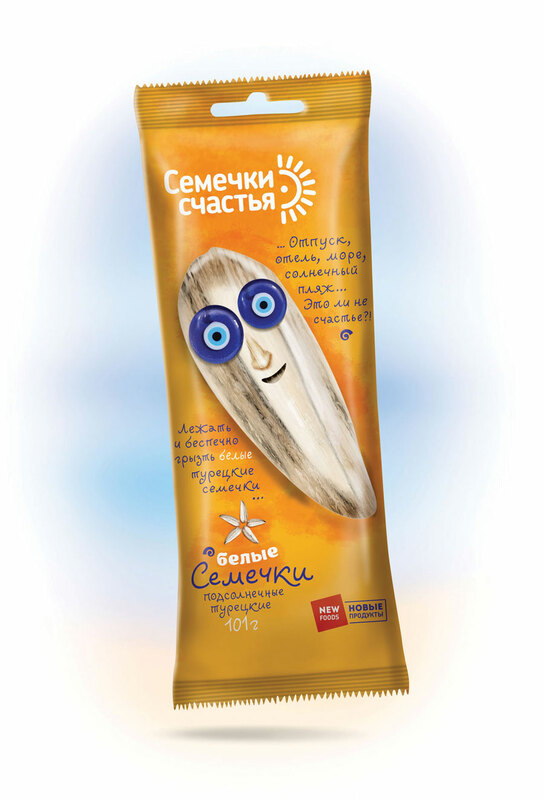 Concept, character design, copywriting, calligraphy, packaging design.